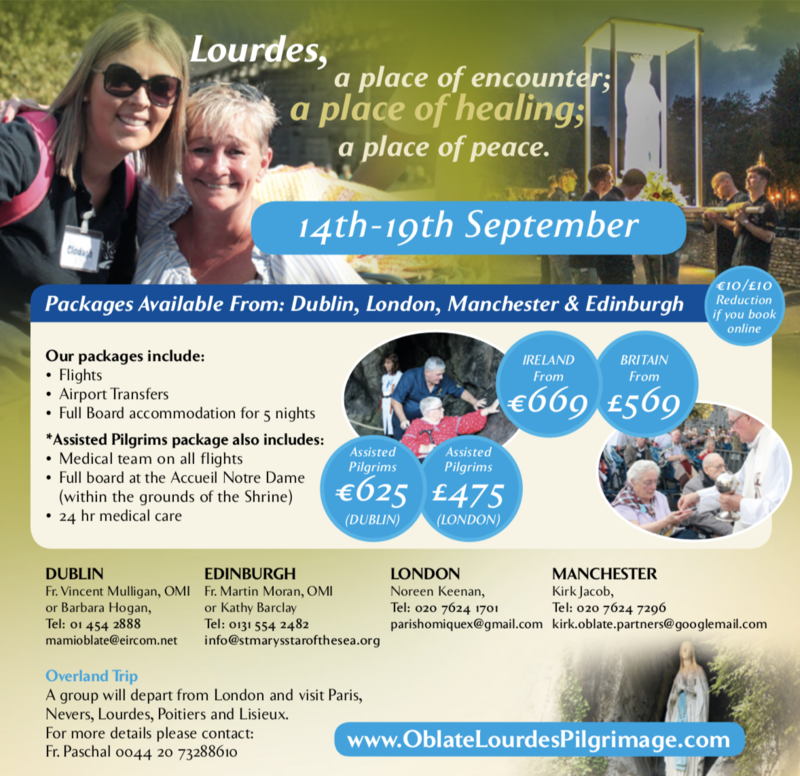 Below, you will find all the pilgrimage package options for 2019. 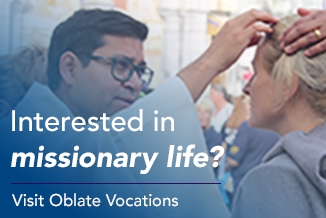 Whether you’re travelling from Ireland or Britain, as an assisted pilgrim, general pilgrim, or volunteer, we are sure you will find a package that suits your needs and budget. 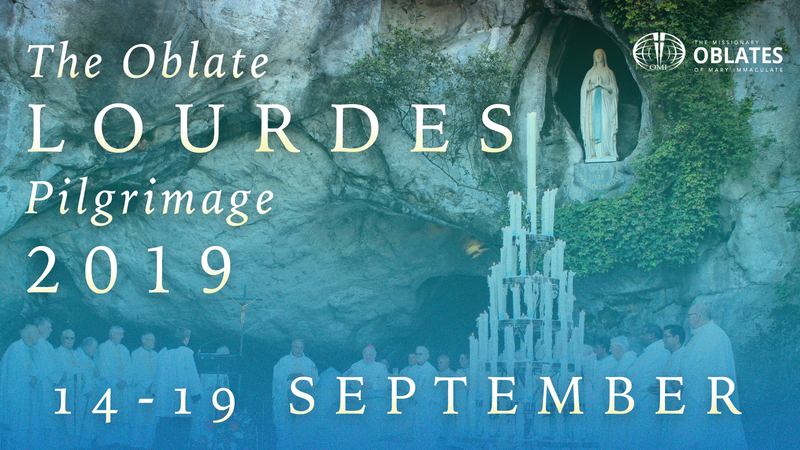 For more information on the Pilgrimage and to book online, please click here. Visit www.oblatelourdespilgrimage.com for more information.